Hi, I would like to travel from Aqaba to Cairo without taking the Ferry, because its shorter the distance when I cross through Israel. I dont care about the Israeli stamp in my passport. I have seen the possibility with the bus from Nuweibaa to Cairo, but I dont want to take that Ferry. Does this bus exist? I'm planning to get there at the end of this month possibly 28 May 2014 and I travel with my wife. 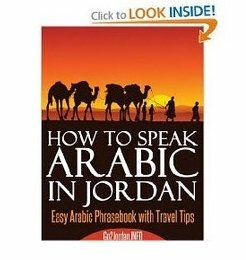 Answer: There is no direct bus between Aqaba and Cairo. 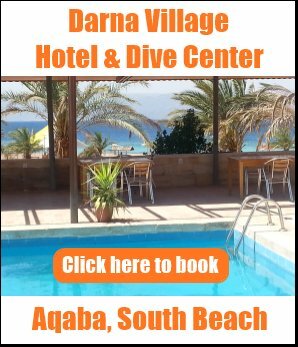 If you want to take the Nuweiba-Cairo bus, and don't want to take the ferry, you have the option to go overland via Israel. 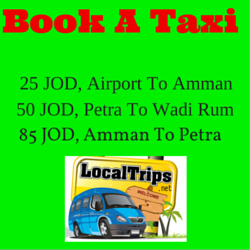 First, you have to get to the border from Aqaba city (cca. 7 JD by taxi). You have to pay 10 JD per person exit tax. On the Israeli side you have to take a taxi between the two border crossings. After crossing to Egypt, you will have to take a taxi or bus to Nuweiba. Also make sure that you get the right visa for Egypt that allows you to travel to Cairo. Don't take the Sinai Visa, because it only entitles you to stay in the Sinai peninsula's touristic area. Good luck with your trip, wishing you a great time in Jordan and Egypt! PS: Please leave a comment below after your trip and tell us about your experiences with border crossings, buses and taxis. Thank you very much.